Saw Htun served as Forest Range Officer in Forest Department from 1994 to 1999 after receiving his BSc (Forestry) in 1993. He completed his MSc in Environmental Management and Development at Australian National University, Australia in 2002, and then he joined WCS Myanmar Program. In WCS, he has been mainly involved in biological surveys, socioeconomic surveys, management planning, and monitoring on interventions and threats as a Coordinator in the Northern Forest Complex. 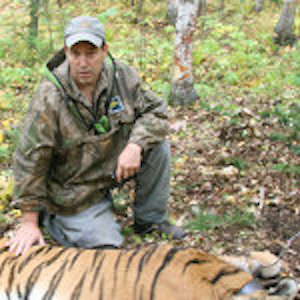 In addition, he has contributed to monitoring on tiger and its prey under Tigers Forever Program. He is a member of Species Specialist Group for Asiatic Black Bear and Sun Bear of IUCN since 2005. He also participated in Asia Primate Redlisting Workshop in Cambodia in 2006 and Regional Planning Workshop for Wild Cattle Conservation in Vietnam in 2008. His main publication is "Saw Htun, 2006. 'The Status and Conservation of Bears in Myanmar' in K. Yamazaki (ed. ), The 17th International Conference on Bear Research and Management, Japan Bear Network, Karuizawa, Japan. He also received Post Graduate Diploma in International Wildlife Conservation Practices at WildCRU, Oxford University in 2010. Madhu is a Senior Advisor and Representative of WCS in Singapore. She has provided technical, strategic and programme development support for WCS country programmes across Asia. She has broad experience with international protected area and wildlife policy and has engaged extensively with conservation planning and regional-scale conservation prioritization. She serves as Advisor to the secretariat of the Asian Species Action Partnership (ASAP), an IUCN Species Survival Commission (SSC) initiative to catalyze conservation action for Critically Endangered species in the ASEAN region that is led by the Wildlife Reserves Singapore (WRS). She has a Master’s and PhD degrees from Duke University and is currently an Adjunct Faculty member in the Department of Biological Sciences at the National University of Singapore (NUS). 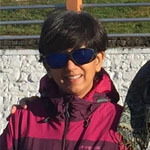 She has published scientific research on wildlife exploitation and trade, protected area effectiveness, human-wildlife conflict and community management of protected areas. Robert Tizard is the Technical Advisor to the WCS Myanmar Program. He was born in Canada and grew up in Texas. He graduated from Texas A&M University in 1994 after studying geography and wildlife management. Within weeks of graduation he moved to Laos where he lived for over 10 years. During this period he has worked on birds, bats, tigers, elephants, ecotourism, protected areas and community land and natural resource issues. 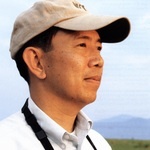 He has worked with the Wildlife Conservation Society on-and-off in Lao PDR, North Korea and Myanmar. In 2006 Rob moved to Myanmar where he currently works as the Technical Advisor to the Wildlife Conservation Society’s Myanmar Program. Much of his work focuses on land and natural resources issues with local communities especially with marginalized forest communities and increasingly with ethnic armies such as the Kachin and Karen as they work to end years of conflict. Robert Mwinyihali completed his Master Degree in Political Sciences- Public Administration and Management at Makerere University in Kampala (Uganda) and a Bachelor in Psychology from the University of Kisangani. 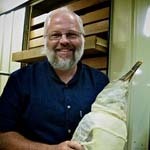 In 1993, he joined WCS as the manager of the Center For Training in Forest Ecology in the Okapi Wildlife Reserve in Ituri, northeastern of Congo where he helped training hundred of Congolese university students and expatriate ecologists in field research. In 2001, he helped to create the Community Conservation Programme of the Okapi Reserve and was closely involved in the zoning of the protected area as well as supervising biological surveys and other related activities within the Reserve. In 2003, as the Country Program Manager of the DRC Programme, he had the role of coordinating and managing the country projects, and liaising and communicating with national, bilateral and multilateral agencies in Kinshasa, the capital city. In this capacity, he helped the Congolese Park Agency develop the vision and the 10 year National Strategy for nature conservation for the DRC. Robert is now the Assistant Country Director of the DR Congo Programme at the same time Landscape Leader of the USAID-CARPE Ituri Landscape. His current work is focused on land use planning, policy at local and national level, and conflict management on natural resources. 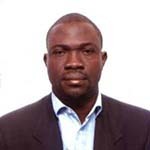 His publications include among others: "Armed Conflicts and biodiversity in Sub-Saharan Africa: the case of the Democratic Republic of Congo, co-authored with Terese Hart and published by WWF-BSP, Washington, 2002" and "Why armed conflicts persist in the Kivu region of Kivu (DRC)? ERTF, Forest and Consult No 43-44, Winter 2004-2005. 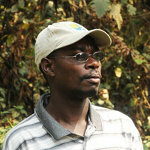 Deo Kujirakwinja manages WCS's Eastern DR Congo Program with projects in Virunga and Kahuzi Biega national parks and the Itombwe and Misotshi-Kabogo massifs. With an MSC in conservation from the University of Cape Town he is also an ornithologist and specialist in hippo surveys. 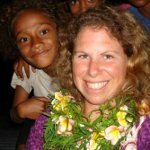 Dr. Stacy Jupiter joined WCS in 2008, and served as the Fiji Country Program Director between 2009 and 2014. She became the Director of the Melanesia Program in 2015. Stacy provides technical support and oversight to the Fiji and Papua New Guinea programs, particularly in areas related to sustainable coastal fisheries, integrated land-sea management, and developing platforms to assess resilience that are appropriate to the Pacific context. She has been leveraging the success of WCS’s conservation efforts in Melanesia to initiate new programs and projects in Solomon Islands and Vanuatu. Stacy holds a Bachelor or Science in biology from Harvard University and subsequently worked as a U.S. Peace Corps volunteer in Gabon, teaching rural farmers how to build fishponds and develop sustainable agriculture. Her Ph.D. research through the University of California, Santa Cruz focused on links between land use and downstream impacts to water quality and nearshore coral reefs, topics which she continued to develop as a postdoctoral fellow with the ARC Centre of Excellence for Coral Reef Studies in Australia. 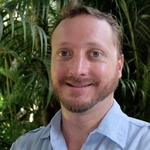 Alex Diment has broad experience in conservation, and combines in-depth knowledge of community-based development and conservation, with technical expertise in ecological monitoring, and skills in project management, strategic planning and programme development. Alex has a degree in biology from Oxford and a doctorate in predator ecology from Sydney. He is a fellow of the Royal Geographical Society, and active in the Society for Conservation Biology. He has lived and worked for many years in Southeast Asia, particularly Cambodia, as well as in Central Asia and Eastern Europe. He has a particular interest in the management of invasive predators, and a fondness for medium-sized carnivores. 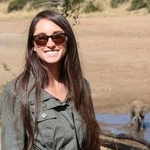 Alexa Montefiore serves as the Program Manager for the SMART Partnership, which is currently comprised of CITES-MIKE, FZS, NCZ, Panthera, WCS, WWF and ZSL. Alexa is hosted by WCS on behalf of the SMART Partnership and works across the entire Partnership to encourage adoption of SMART worldwide and to establish greater support for the implementing partners. Prior to joining SMART, Alexa worked at Ogilvy Public Relations Worldwide, focusing on a range of initiatives for social good, with the ultimate goal of helping people live happier, healthier, and safer lives. Alexa hopes to continue her quest to better society by cultivating innovative programs that make people think and act differently. Alexa is also enrolled in NYU's Environmental Conservation Education Master's Program. Anak Pattanavibool has always worked for wildlife since the beginning of his career as a wildlife ranger in wildlife sanctuaries in Thailand before turning himself into wildlife biologist with MS in Wildlife Science at Oregon State University and PhD in BioGeography at University of Victoria, British Columbia. 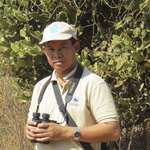 His main research interest has been focused around the topics of impacts of humans on wildlife as appearing in international journals with articles on impacts of logging and habitat fragmentation on mammals and birds in different habitats in Thailand. He is now the director of WCS Thailand and still persue his cause to improve management and conservation system to better protect endangered species such as tigers and hornbills. He has also tried to build strong next generations of wildlife conservation scientists by working with students in different key universities in Thailand.